As this year comes to an end, the Montreal market still keeps on getting hotter and hotter. The good news is that even with all the projects announced or proposed, the market is still very healthy. The downtown area still attracts thousands of residents per year and continues to grow at a rapid rate. Here are a few projects coming in the future that will change the landscape once again. Victoria Sur Le Parc: 56-floors, 200 metres. This game changer will be located next to another 200-metre building (National Bank HQ). This beautiful project is by the same developers of L’Avenue, Broccolini. At 200 metres, it will be the tallest residential building in Montreal and will become the fourth tallest building, tied with NB new HQ. The building will also house shops and 10-floors of office space. To show how hot the market is, already 300 out of 400 units were sold. Noone would’ve thought that we’d have two 200 metre towers on the same lot in Montreal, until now. By 2023, these two towers will be side by side making the skyline more bold and powerful. The new HQ will have 1,000,000 square feet of office space and also a garden located 190 metres in the air. 3. Solstice: 44-floors, 147 Metres. 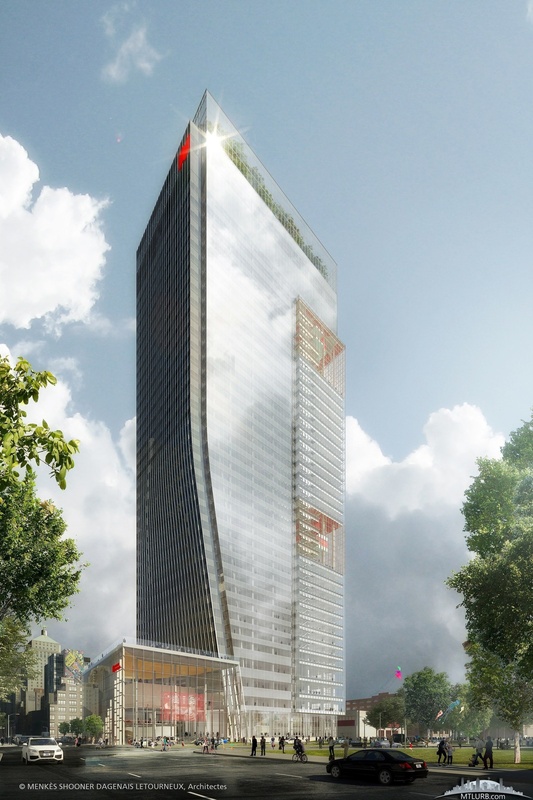 This sleek new tower is in the ever-evolving Bell Centre cluster in downtown Montreal. This area is rapidly becoming the most densified neighbourhood in the country and more lively as well. This project will include commercial shops at ground level and will feature 329 units. 4. Quinzecent: 37-floors, 120 metres. 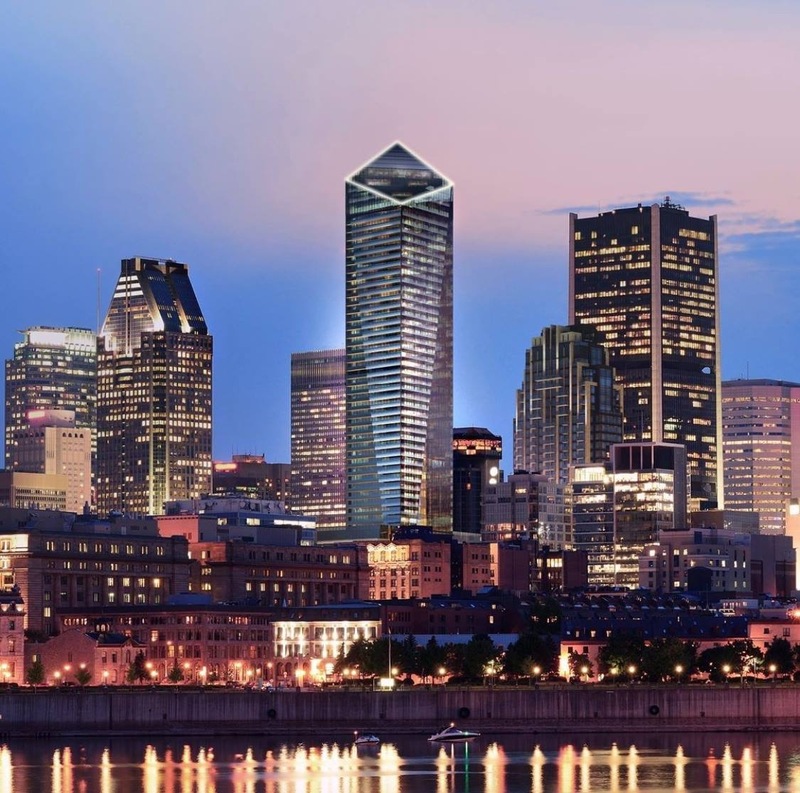 Brivia group continues to be a strong player in the Montreal real-estate market. With YUL beginning its phase two construction, Stanbrooke nearly complete, the purchase of 1215 Square Philips for a future project, their confidence in Montreal still remains. The project will hold 440 units and will include retail at street level. 5. 1111 Atwater” 38-floors, 120 metres. The project is part of the new Children’s Hospital redevelopment project. As you all know, the old hospital got knocked down to make room for six towers. For this tower, it will house commercial stores at ground level, senior residences while the last six floors will have 22 unit million dollar penthouses with high class and elegance. Sales should start in 2019. 6. Quartier des Lumières: Multiple buildings between 6-15-floors. This massive project will be on the CBC lands in downtown Montreal. CBC will relocate their HQ to a new building nearby while the old one will be converted to a hotel with this project. In addition to this, there are plans for 3,000 units, office space, hotels, restaurants, shops, etc. This project is by MACH group and should start by 2020, transforming the eastern downtown area. 7. Royalmount megamall: shops, hotels, offices and condos. This massive $2B project has recently gotten approved and should be starting construction in the near future. 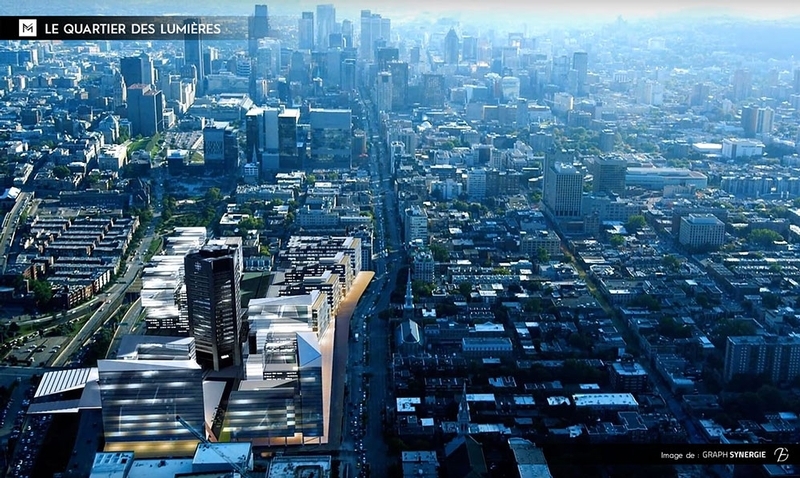 Although a controversial project due to traffic concerns, or by some people at city hall calling it an “Americanisation” of Montreal, the project will add billions to the economy during construction. In addition to this, the city will have a true midtown with this project and all the other projects in TMR/NDG. 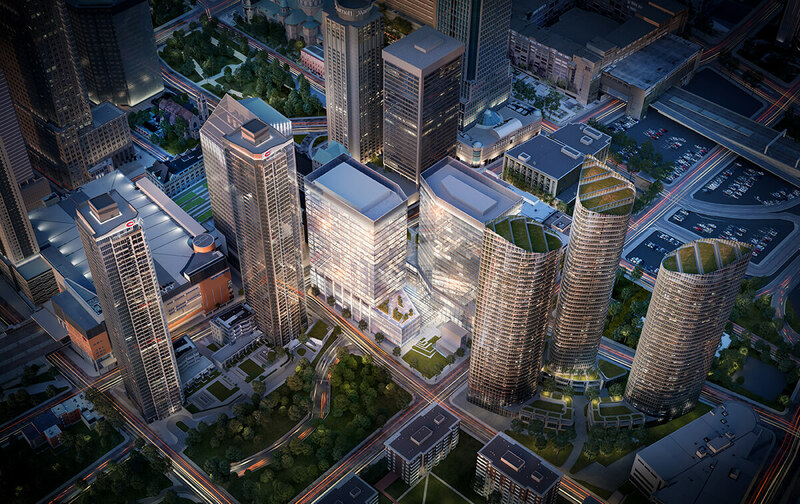 While waiting for new renders or more info, many other projects are going on in the downtown core. The former QDS office building project has been cancelled for a while now and more news should come out of that front soon. From what rumours I’ve heard, we can see either one or two 50-floor towers with hotels and retail within the building as well. When it comes to Quad Windsor, 750-Peel has started looking for tenants for its two office towers. The project did get downscaled dramatically, from two towers of 180/130 metres to two towers of about 110-120 metres. No news on potential tenants at the moment. As for 600 Peel, nothing on that yet but don’t be surprised to hear more about the project by next year for zoning changes. 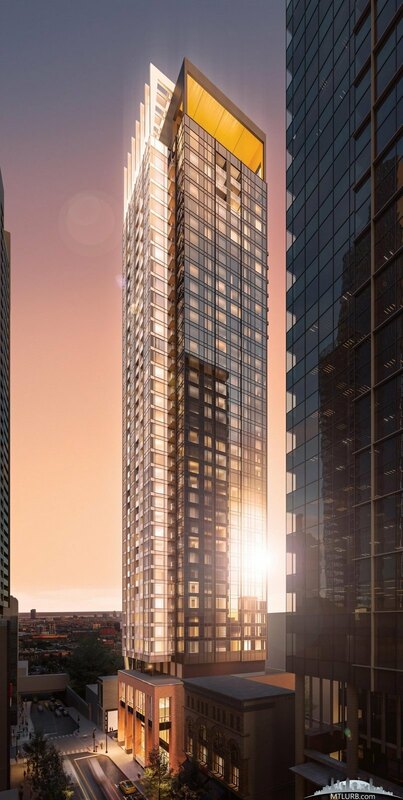 Other projects announced include a 33-floor condo located at 2070 Peel Street, a 17-floor condo near Concordia University and multiple 20-25-floor condos going up downtown. Once more info and renders are released, a new post will follow suit. Hope everyone enjoyed the update! Previous The 514 trip report: Canada’s Wonderland! 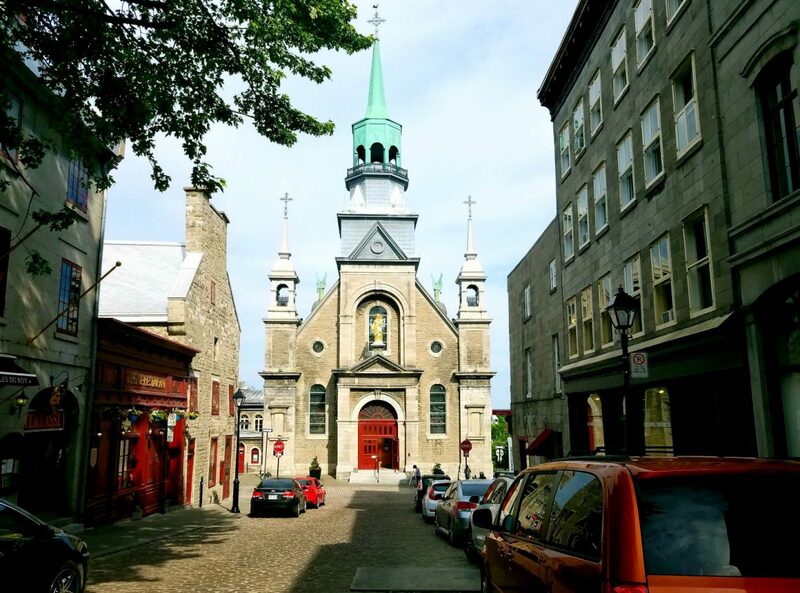 Loved your list of proposed buildings for booming Montreal. Does the city still have a height restriction based on the elevation of Mt Royal? 200m seems to be the max height. Unfortunately the height limit is still in place. Under the previous administration, they did increase heights in other places to 120m or 170m. With this administration there hasn’t been any changes but there are rumours that they will increase heights downtown but will keep the 200/210m limit in place.